Singtel is a Singapore based Telecommunications company. 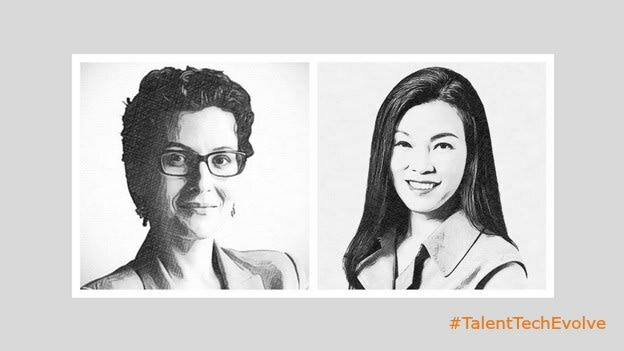 In a coversation with People Matters as part of Talent Tech Evolve, Aileen Tan, Group CHRO shared her personal career journey and Singtel’s approach to people management. Aileen describes herself as “textbook-smart” when she first started out as a people manager. She could lift concepts and apply it to people management. But she reflects that because of that, her people perceived her to be a very tough supervisor. That realization prompted Aileen to change her approach by going back to the basic principles of motivation and engagement. She believes the key to unleashing potential is to provide people with opportunities. “People want to do a good job; they want to progress and create progress if given an opportunity,” she says. This philosophy guides Singtel’s talent approach and is one that has helped the organization harness potential well. Aileen says her team has a “60-40-65” formula which is closely linked to its annual operating plan and people strategy. 40% focus on new initiatives as Singtel continues its digital transformation journey and builds new digital capabilities. Talent mix of young and old: Singtel launched a Cyber-War workshop, inviting school students to attend sessions to give them a real-world view and help them discover what they were truly passionate about. On the other hand, Singtel launched Super Talent, to harness the rich experience of “silver talent” for another 5-10 years. Such employees have undergone workshops around change management, learnt new skill sets and have even embarked on new professions! Encouraging experimentation: To explore the concept of “digital HR,” each team is encouraged to carry out 2-3 experiments. For example, the Rewards team has deployed two robots which now work for them. The recruitment team is trying out applications such as video. Adopting “borrowed agility”: The HR team partners with consulting companies to run small initiatives and drive change. This approach has opened up a lot of appetite in people to take risks and experiment. Exploring new technologies: In a conscious effort to drive a lot of people practices through technology, the HR team has evaluated and identified all enabling digital technologies for each HR process. For example, in a recent Management Associate Program, Singtel used chatbots to engage with candidates for the first interview round, along with other tech tools like video, online assessments, etc. Social referencing is also helping in background checks. Skill building: Building “digital skills for a digital workforce” is a focus area for Singtel. Many initiatives are aimed at enabling employees to thrive in the digital economy. For example, learning Python coding to foster an appreciation of technology. Singtel is thus aiming to make everyone a “digital citizen”. “I need to play the role of challenging and questioning everyone,” says Aileen. This begins with measuring success. With interesting KRAs such as “the number of digitally naïve employees,” Singtel aims to create a vibrant digital citizen workforce. This direction does not come easy, and hence embracing and managing failure is critical to success. Timely mitigation, timely escalation and post-mortems help. Leaders must simultaneously celebrate this learning journey. This “Future of Work” agenda in Singtel is all about truly embracing the theme and creating excitement. It cannot be treated like a one-time engagement or an HR role only. It is an everyday joint effort, to always move forward, to stay very relevant for the business. NEXT STORY: What should you do to recruit better?